Little Nutbrown Hare and Big Nutbrown Hare were playing hide and seek. ... Suddenly Little Nutbrown Hare pops his long ears and little pink nose out of the hole. It's SO much fun to surprise his papa when he pops out. And it's still his turn! Little Nutbrown Hare squeezes between some big rocks. He hides in a bunch of tall flowers, in some bushy weeds, and among the new green ferns. Papa never seems to see him until he pops out of his hiding place. Finally he scrunches his long ears down behind a big log. Papa's search seems hopeless. All this hiding and seeking had Big Nutbrown Hare exhausted! It's about time for the final Big Reveal in Sam McBratney's latest father-and-son adventure, Here I Am! : A Finger Puppet Book: A Guess How Much I Love You Book (Candlewick Books, 2018). With its perennially charming soft illustrations by artist Anita Jeram, this latest in the beloved best-selling Guess How Much I Love You? series, there's a furry long-eared little hare here who pops up to surprise his patient papa every time in this new toy-and-movable board book--the perfect Easter basket filler, sweet, but with zero grams of sugar, to delight youngsters, one that may inspire an Easter hide and hunt of its own. 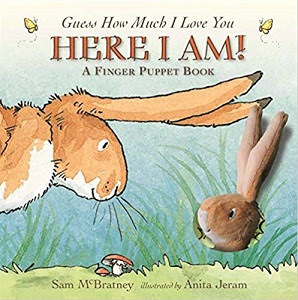 For the youngest, there is also McBratney and Geram's companion interaction finger puppet book, Guess How Much I Love You: One More Tickle! : A Puppet Book. Should you care? Some say so. But there are choices. White is right for cool summer frocks, a lacy wedding gown, a doctor's crisp lab coat, or an astronaut's pressure suit. Black is best for formal occasions, but knit caps and furs are for snowy seasons. Game day calls for school colors for sure, but sleek swimwear is best when you dive the seafloor. Express your true self, for there's only one you. Can't find what you like? Then design something new. 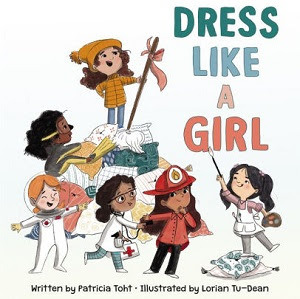 Clothes make the woman, and there're plenty of ways to Dress Like a Girl (Harper, 2019), according to Patricia Toht in her new fun fashion guide for girls. Using a girl's sleepover as her scene, artist Lorian Tu-Dean has her little fashionistas try out out all sorts of uniforms, costumes, and self-designed stylings, in this jolly commentary on femme fashion in the twenty-first century. 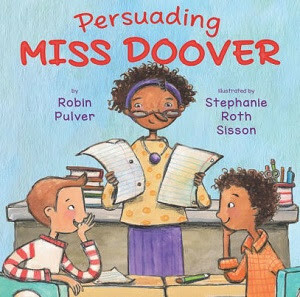 Author Toht's rhyming guidebook gives a nod to the rules, while counseling girls that the secret is "doing it your own way." 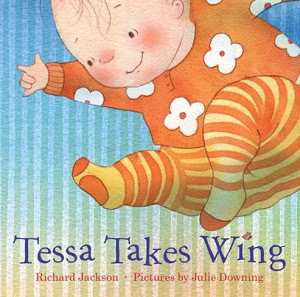 Says Publishers Weekly, "Tu-Dean captures the joy of dressing up, friendship, and discovery in her mixed-media art." Every night it's the same story. Kids ask the same old question. "Why can't I stay up late like you?" Parents give the same old answers. "Because we're grown ups, kiddo. Little guys need their sleep." But this kid has pertinent what-ifs: what if his toy duck gets hungry? What if he misses a big party? What if a huge rock rolls into the house? No luck! He's tucked in with his lovie Ducky and a kiss on the cheek. Same old same old! But why is there always a hint of something he's missing? Like why did he find Duck in the fridge one morning? Or on top of the disco ball? There's got to be another reason why he's always being given the bum's rush to bed! So one night I listened. It's a wild and crazy parent PAR-TEE! 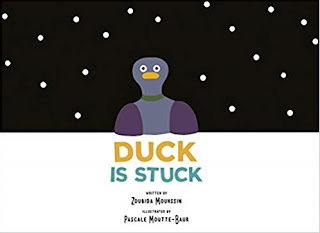 His pajama-clad parents jump on the couch, and Duck does cannonballs on the cushions, while dogs, monkeys, and cows crash the party, telling dumb jokes. "I just ordered a pizza!" "Great! Will it be long?" Duck heads out, promising to procure one, and soon the living room is hit with a huge Rolling Stone! "Heavy" says one hipster quipster. "It doesn't get any boulder!" says the other. At which point the parents drift out the window and fly through the moonlit sky with Duck, until they finally return just before dawn to bed down for some shuteye. Why is Duck conked out behind the sofa--with a guitar? 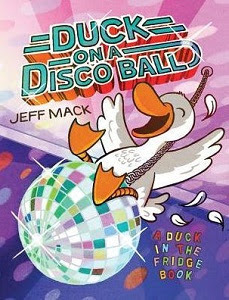 It's a wild and crazy night in Jeff Mack's Duck on a Disco Ball (A Duck in the Fridge Book) (Two Lions Books, 2018). 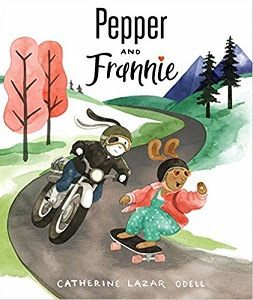 Mack's narration is laugh-out-loud funny, and his comic digital illustrations fit the text, sometimes done in spot-art vignettes, sometimes in full-bleed pages or double-page spreads as the action zooms out or focuses in on the kid who can't wait for his turn to stay up late. 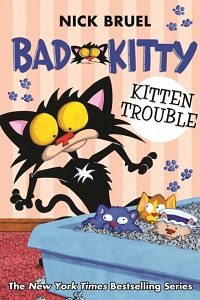 It's a bedtime story that fits kids' dreams. Pair this wise-quacking tale with Mack's prequel. 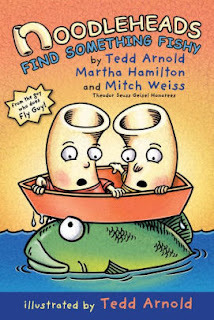 Says Booklist, "This goofy bedtime drama is a worthy sequel to Duck in the Fridge (A Duck in the Fridge Book). MY OLD SHOES HAVE A HOLE. Leaky shoes are not a treat. It's time for new shoes for those bare feet. Some shoes come in blues. But look at those yellow ones! Maybe those orange ones will be cinchy! And the proud owner of new orange shoes is soon off and running to show them to friend, Emma! 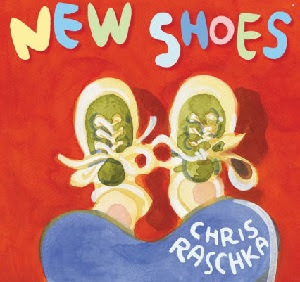 Caldecott winner Chris Rascha's New Shoes (Greenwillow Books, 2018) chronicles the process of buying new shoe for a toddler who wants a good fit, a certain look, and shoes that make for fast feet. Chris Raschka's trademark illustrations focused on feet only show the whole process, from finding holes in the soles of old shoes, going to the store where feet get measured on strange devices, and trying on store shoes that may or may not feel just right. But this expedition is a success, with bright new sneakers to show off. Those young feet will wear out many a shoe, but this trip to the shoe store is special! 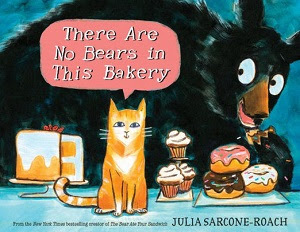 Raschka's newest picture book is a good run through for the real thing! WHAT DOES A COLD NEED? It also needs a window open to the spring sound of birds singing, cozy socks and chicken soup made by Grandma, Granddad's kiss and some silly jokes from Daddy. ... a long, deep afternoon nap. Colds need someone to feel sorry for you and someone to tell you it'll go away soon. ... love and ... a little time. 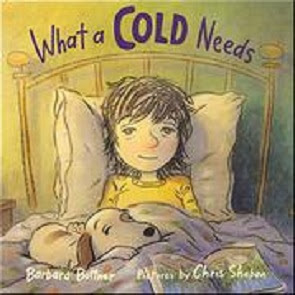 In a soothing book for youngsters, noted author Barbara Bottner's What a Cold Needs (Neal Porter/Holiday House Books, 2019) evokes the comforting care of a kind family during the all-too-common colds of childhood. Artist Chris Sheban provides the gently charming illustrations done in the soft textures of smudged pencil and the pastel hues of the oft-washed pajamas worn by a girl, one whose whose red nose tells the tale of a short illness. Inevitably, that red nose fades to be replaced by the ruddy cheeks of a no-longer ailing girl--who can now play outside and come back in to hug her dad, who is now wearing the pajamas and red nose. 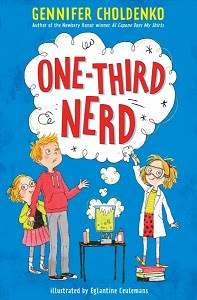 Kids will love the humor of this book, and grown-ups will feel a touch of nostalgia for those days when they got new crayons and got to take their sick days in bed. 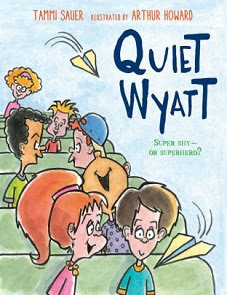 This book is a literary get-well card for sick kids, done, as Kirkus Reviews put it, with "with lyricism and whimsy." It's lines of parading pastel pachyderms, papas, mamas, and petite baby elephants, five in each panel. They parade on each panel, left to right, trunks up, right to left, trunks mostly down, and left to right again, on each page. BIG AND ROUND AND ROUND THEY ARE. ROUND AND ROUND AND ROUND THEY GO. The elephants enter a cave-like tunnel. In they go and out they come, holding onto each other's tails to find their way. The elephants parade all day until night is near. YAWN! They trumpet up good night stars and get ready to sleep under them, all five curled up together. 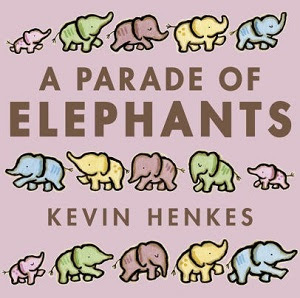 Kevin Henkes' A Parade of Elephants (HarperCollins, 2018) is the perfect pachyderm parade for the nursery school set, always five elephants, always in a line, demonstrating up and down, in and out, back and forth, and all those directional concept words that little ones need to describe their world. Kevin Henkes, one of the few creators of children's books to have won both Newbery and Caldecott Awards for insightful novels and brilliantly illustrated picture books, gives us inviting, slightly smudgy blackline illustrations filled in with lightly shaded pastel watercolors of elephants marching, marching, marching, through panels on each page to the music of his simple narration, right into a snuggled bedtime under a starry sky of their own creation." 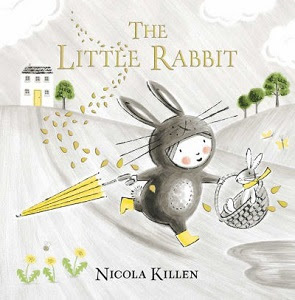 Says Publishers Weekly, "With clear, bold type sized for puzzling out letters, this spare offering will appeal to preschoolers who, like the elephants, are settling down to their starry sleep." 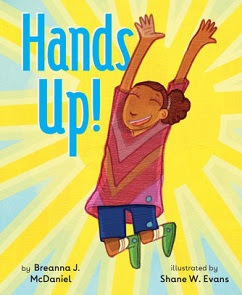 "A must purchase for all libraries," School Library Journal adds in their starred review. Bear was sure his house was clean. His rooms were tidy. He took good care of everything inside. Face it! This bear is a fussbudget. He simply cannot abide disorder. He is disgusted by dust. He cannot bear a single cobweb in his domicile. But he loves to fuss over his friend, a small stuffed Teddy appropriated named Ursa. Each day Bear makes sure his home totally spit-spot. But then, one day, he wakes to find things awry. There is even a book on the floor. 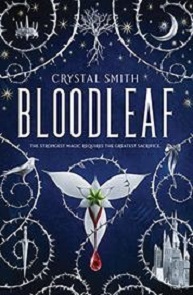 And there is a cobweb on the bottom of that book. Who would dare do such a thing? Bear inspects his housekeeping. Sticky spider webs have appeared virtually everywhere. There is only one conclusion. "Ursa, we have a spider problem," said Bear. Willy-nilly, Bear wields the weaponry of housekeeping. He sweeps the offending webs off the ceiling and pulls his provisions out of the pantry, seeking the offending arachnid. He pokes his broom around under the bed, and in such tight quarters, poor Ursa's foot get caught and ripped off. Bear tries to glue the offending foot back on and makes a sticky mess of it. Bear collapses on the floor and looks around. The spider webs have proliferated and the house is a wreck. He moans and groans. "My poor friend. I never meant to make such a mess." Finally Bear roars into high gear, ransacking the place for some mending materials. But when he returns, he finds a surprise. His dear Ursa was good as new. Who could sew such fine stitches with such delicate threads? Who indeed? 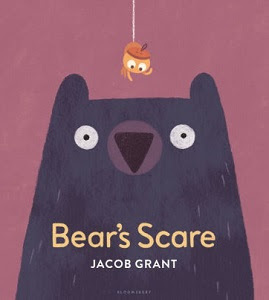 Perhaps persnickety Bear can learn to share his quarters with spiders after all, in Jacob Grant's funny mini-fable, Bear's Scare (Bloomsbury, 2018). Bear's OCD seems to be cured, and he's acquired some appreciation for arachnids after all, especially since these scholarly spiders share his love for reading, too. Grant draws his bear big and brown and blocky, deliberate in all he does, while his jolly, round little spiders stay busy spinning and sewing with a will--that is, when they are not sharing a book with Bear and Ursa. This picture book is probably not a cure for arachnophobia, but it does give spiders their chance to shine. Says Publishers Weekly, "Grant gets comic mileage from Bear's stricken expression; a view of the bear's big rump as he searches under the bed will make readers smile. Insisting that everyone look and act as we do blinds us to some pretty wonderful possibilities." Or as the American sage for the age says, "Different strokes for different folks."